United legend Ole Gunnar Solskjaer has named two American youngsters from his squad to SAF that he believes can make it at Old Trafford. The FC Molde boss named Joshua Gatt and Sean Cunningham as two players that United scouts should keep their eyes on. 19-year old winger Gatt and 18-year old left back Cunningham both came to FC Molde this year and Ole has no problems in coaching young players to the best of their ability. 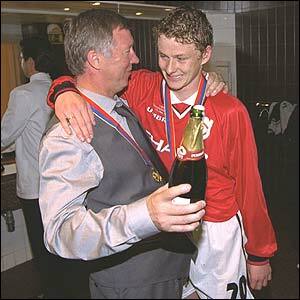 His stint as reserve manager showcased his talents as a leader and he won the Manchester Senior Cup along the way. SAF will quite probably take his advice on board and maybe we will see these youngsters in the red of Manchester in the future.